Week 2 of our geophysical survey of a selection of Gower Iron Age promontory forts finds the team at Paviland. The site is possibly more famous for the discovery of the ‘Red Lady’ during the re-excavation of the site by Reverend William Buckley in the 1800’s, than for the Iron Age promontory fort that crowns its peaks. The fort, also known as Yellow Top, has a central area roughly 40m by 44m, within which traces of settlement have possibly been identified using aerial photography. On the landward side of the site are two lines of banks and ditches, around 32m apart, with the inner bank having a causewayed entrance. Ever wanted to try your hand at geophysical survey? Ever wanted to try your hand at geophysical survey or learn how a survey is undertaken? GGAT will be undertaking a geophysical survey at the Paviland and Knave Iron Age promontory forts on Gower. GGAT Project staff, Rowena Hart and Charley James-Martin along with our Arfordir Co-ordinator, Paul Huckfield will be at the Knave on 30th April and at Paviland on the 8th May from 10.30am until 4pm. SOUTH PILTON GREEN FARM, RHOSSILI, SA3 1PQ. Paul Huckfield, Arfordir Coastal Heritage project Co-ordinator and Rowena Hart, GGAT Projects, have been at Cwm Nash, Vale of Glamorgan this afternoon, filming with the BBC and ITV. They have been talking about the cemetery located on the cliff top there and the human remains that have been exposed and on show since the storm of 5th of January. Rowena does all the talking as Paul has man flu! Human remains have been repeatedly exposed by erosion and recovered by GGAT over the last 20 years, the last being in 2012. Learn more. 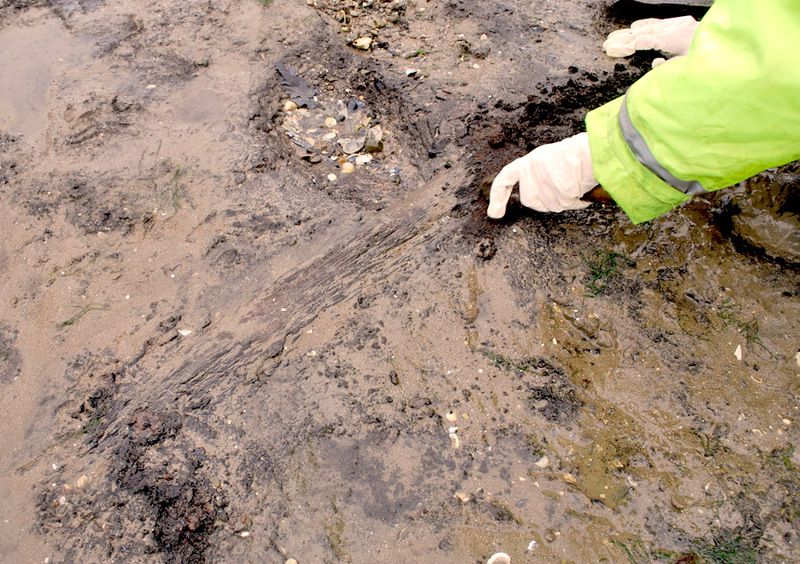 The remains have been carbon dated and all date from the post-medieval period. This latest discovery is mainly thanks to Mr Morgan for his swift action in recovering the remains before they were lost to the sea. The Trust have a Ministry of Justice license to excavate the rest, and the landowner’s permission, and are seeking grant support from Cadw to enable us to do so. 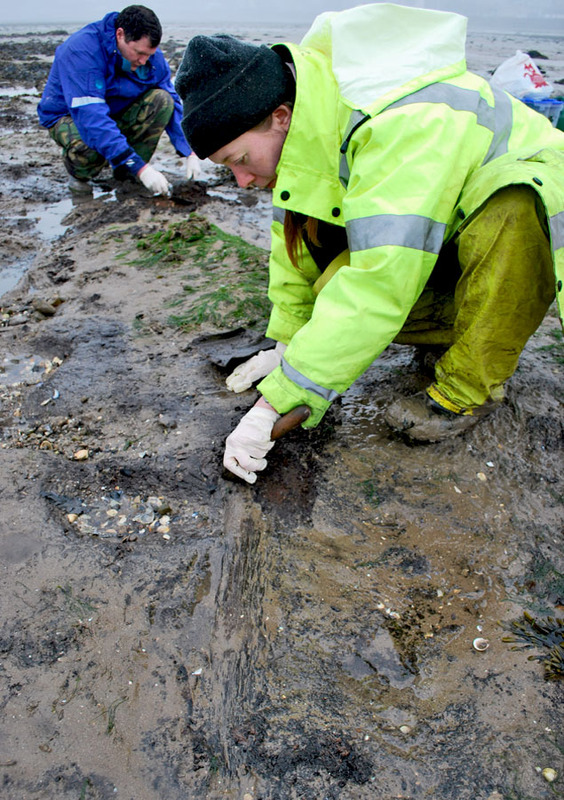 Due to the January storms a large number of archaeological sites along the coastline have been damaged/destroyed and we need to know what has been lost. The storm has also been a double edged sword and has also exposed a large number of new sites and features, such as new prehistoric footprints at Kenfig and cannons at Rest Bay. 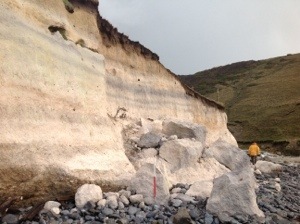 GGAT is therefore asking all it’s groups to visit their stretch of coastline and record any damage or new sites. Please be careful as the weather is still stormy and we suggest that you go out in a group and not on your own and use your common sense at all times. Why so quiet on the Western Front? People have been asking why it’s been so quiet on the GGAT news front. This is because we’ve all been so busy! Here’s a little taster of what the Trust has been up to. Our Arfordir Co-ordinator, Rachel, has been busy training volunteers in the Year 3 study area, which runs along the Vale of Glamorgan Heritage Coastline to Penarth. 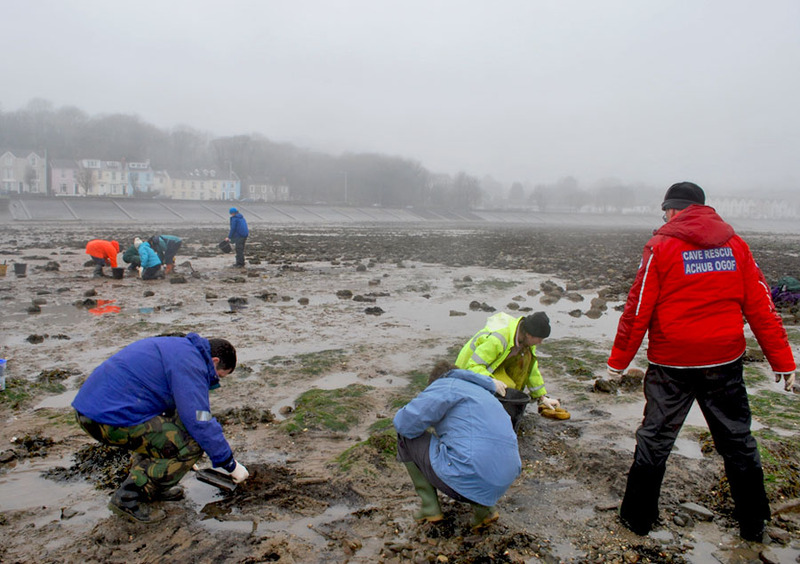 Through a number of guided walks the volunteers have been taught about the numerous archaeological sites along this stretch of coast, as well as emphasising the potential threats caused by current and future coastal erosion. The groups have also been taught how to recognise various types of archaeological sites and have been trained in basic recording and photographic techniques used by archaeologists. Attendance has been good at these events with a keen interest shown by the volunteers. If you’re interested in learning about this project visit the Arfordir pages on the GGAT website (http://www.ggat.org.uk) or follow the link (Arfordir pages). To see what the groups have just been up to visit our Facebook page here. 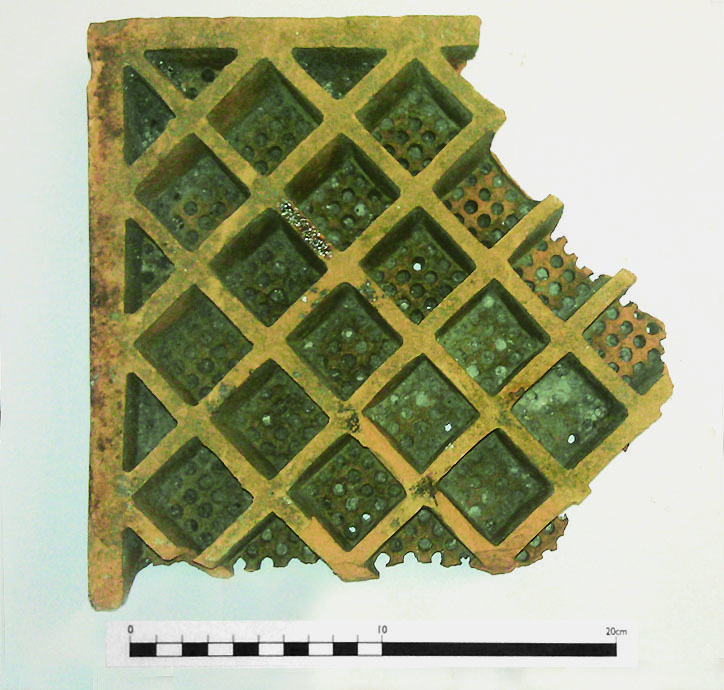 Meanwhile in our Projects Division, Charley James has just written the first malt kiln tile report for the excavations at Vulcan house, Merthyr Tydfil. She has discovered that some of the tiles are from a well-known manufacturer, Sealy & Co., based in Bridgewater Somerset. Bury Holms full of potential! 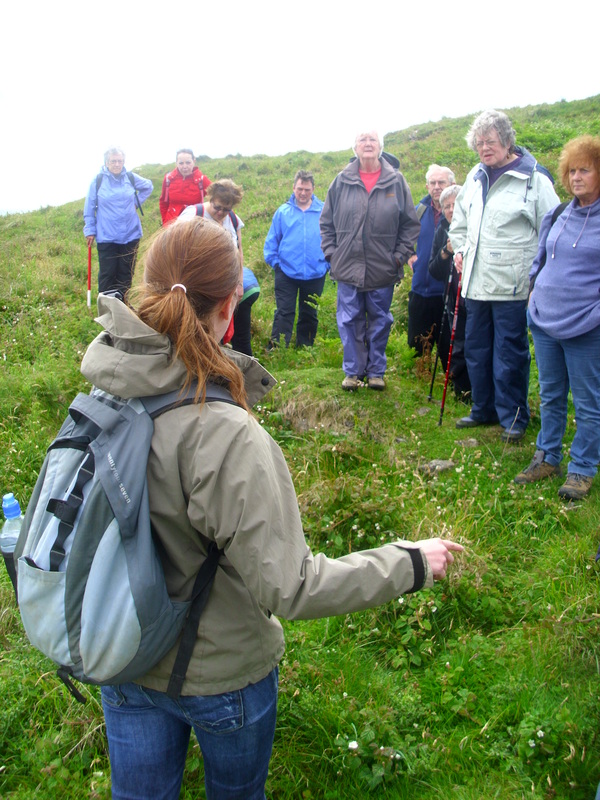 As part of the Arfordir project, Ellie recently led a guided walk for volunteers out to the tidal island of Bury Holms. They were very lucky with the weather, and had a very enjoyable day identifying new archaeological sites and assessing the condition of other sites. The hillfort which encloses the top of the hill is very well-preserved with a deep ditch and a high bank forming defences on one side, with the steep cliffs forming defences on the seaward sides of the island. There is a Bronze Age burial mound at the far western end of the hillfort, which would have been in existence when the fort was in use. One new site that was identified in the course of this fieldwork was a modern concrete pad, partially cut into the burial mound, which was initially interpreted as a Second World War gun emplacement, but which turned out to be a lighthouse base for the gas-fired lighthouse which was set up there after the Whiteford lighthouse was decommissioned. On the other side of the island, the group visited the extensive ecclesiastical complex. They saw the ruined remains of a small stone church, and the ruins of another building which might have been a teaching room, both dating to the medieval period. Just to the south of the church are the foundations and earth banks which defined a large area of domestic buildings and living quarters. To the north of these is a building which is thought to date to after the reformation of the church under Henry VIII, part of which are still standing to around 2m high! When parts of this site were excavated in the 1960s, they found that the remains earlier buildings from the Early-medieval period survived underneath these buildings. The group hopes to do a detailed survey of the ecclesiastical remains as part of the project, though that will have to wait until autumn, when the vegetation is a little lower!